The term “reinforcement” in behavior terms is used to depict the instance where the likelihood of a behavior increases. A reinforcer is therefore anything which, added after a behavior, makes the behavior put roots and stay alive, preventing it from extinction. In dog training, we want to see desired behaviors put roots and establish and that’s why we use positive reinforcement. That cookie given the moment the dog sits, makes the dog more willing to sit in future instances. However, we must consider that reinforcement is also at play when dogs repeat certain behaviors that are undesirable to us. In these cases, it’s helpful to investigate and determine what reinforcer (extrinsic, intrinsic) is maintaining the behavior so we can prevent access to the reinforcer if feasible and provide alternate, more acceptable outlets for those behaviors. Today we will be taking a closer look at intrinsic reinforcers. Intrinsic reinforcement is the opposite of extrinsic reinforcement, which entails reinforcement produced indirectly by the behavior itself and therefore comes from an external source. 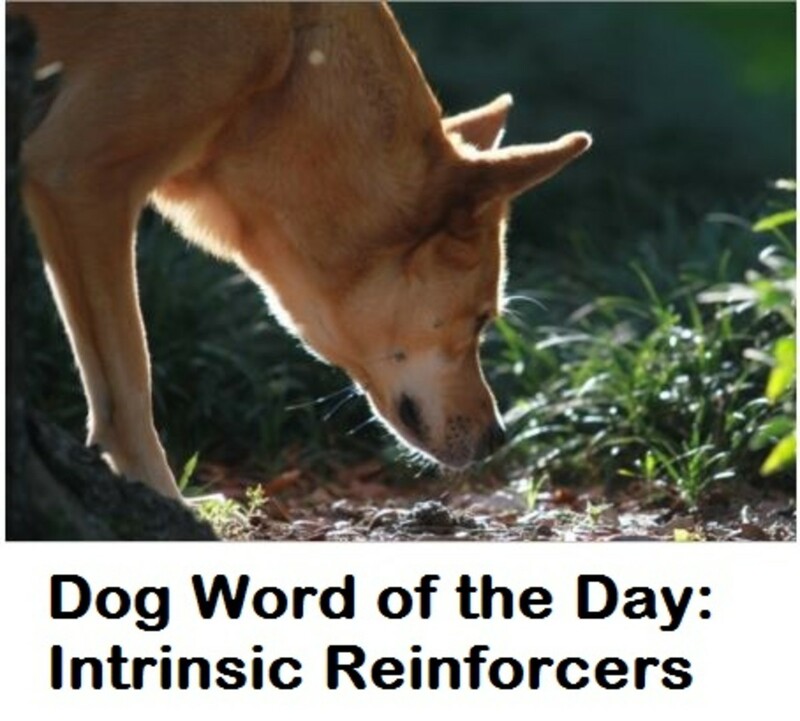 In dog training or behavior modification, the addition of extrinsic reinforcement is artificially arranged in training settings for the purpose of deliberately increasing desired behaviors (contrived reinforcers). For example, back to the dog sitting for a cookie example, sitting is normally not intrinsically reinforcing for the dog (unless the dog is tired on his legs) but by adding an external reinforcer (the cookie) when the dog sits, the behavior becomes more likely to occur in the future. So next, let’s take a look at a few examples of intrinsic reinforcers. As the words above imply, intrinsic reinforcers come from within, but how can dogs gain reinforcement from within? We are so used to thinking of ourselves as the ultimate sources of reinforcement, our mind can go blank for a moment. Let’s think of behaviors dogs do that feel good on their own…Sniffing, chewing, chasing prey, playing, urine marking, barking, digging, retrieving objects and licking may be examples of intrinsically rewarding behaviors. However, one must remember that what’s reinforcing is in the eye of beholder, thus, what’s perceived as reinforcing to one dog may not necessarily be to another. There are several categories of intrinsic reinforcers, here are a few. 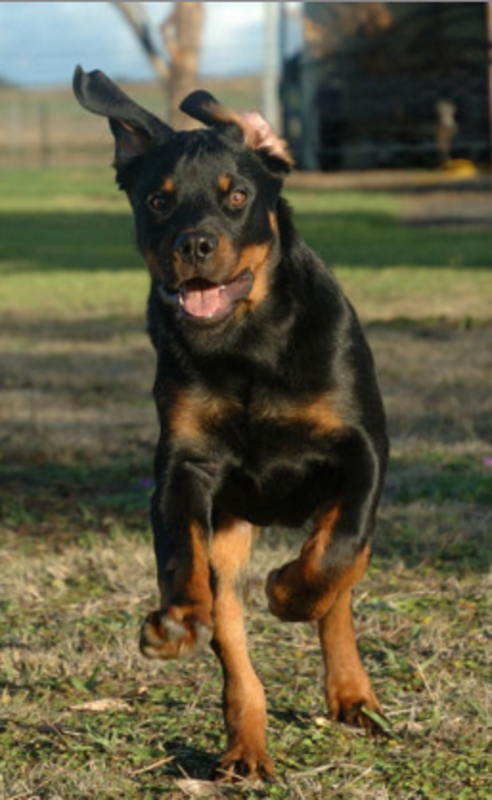 Genetically-Based Intrinsic Reinforcers: We will find that for certain types or breeds of dogs, certain behaviors they were bred for, are self-rewarding. Generally, the scent hounds gain internal reinforcement from going on a sniffing adventure, the sight hounds feel good when they go on a quick chase and the retrievers gain their inner reward when they get to retrieve a ball over and over without any need for external reinforcement. Biologically-Based Intrinsic Reinforcers: the intrinsic reinforcer may feel good because it fulfills a biological need. If for example, a dog feels hot, going under a tree will cause the dog to feel better. The shade of the tree may therefore be an intrinsic reinforcer in this case, as the behavior of seeking shade in that place will likely repeat in the future. Most dogs share the same biologically driven, self-reinforcing behaviors because they are important for survival purposes. 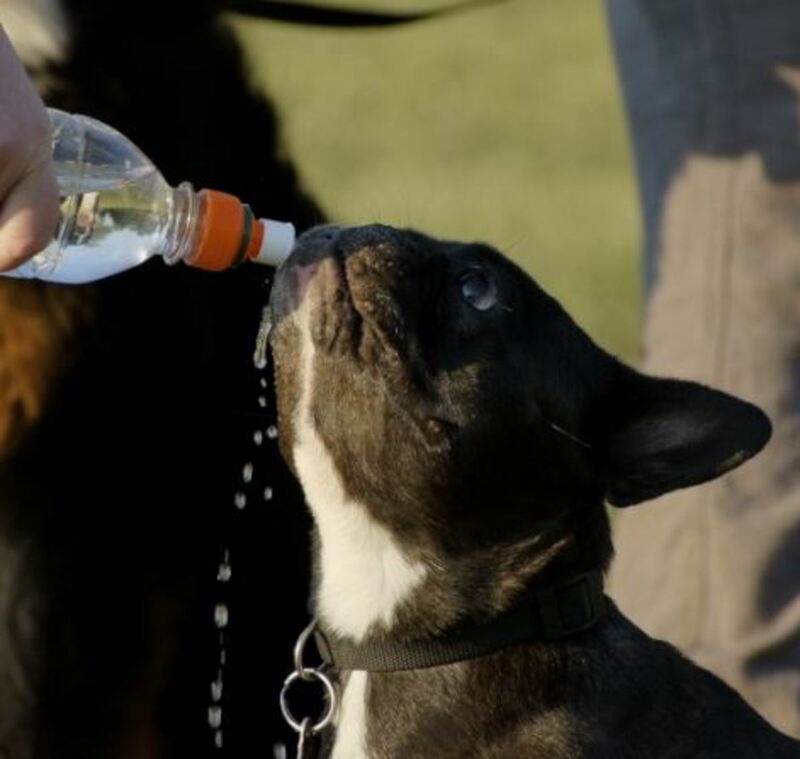 Chemically- based Intrinsic Reinforcers: Sometimes a dog’s behavior is reinforced because of the presence of certain chemicals in the bloodstream. How it this possible? Emotions such as fear or anger can cause the release of chemicals in the dog’s brain and this can become physiologically addictive. James O’Heare, in the book “The Canine Aggression Workbook”explains that this could be an explanation as to why certain behaviors tend to repeat over and over. The good thing about intrinsic reinforcement is that behaviors are maintained without the need of any form of external reinforcement. Your dog loves to sniff? On walks, after rehearsing some heeling exercises, you can reward your dog by loosening your leash and telling him to “go sniff!”Your dog loves to run at the dog park? Call him to you and then reward him by letting him go back to run around with his friends. Your dog has great fetching genes? Reward him for bringing a toy to you by tossing it again and again. You can also take advantage of your dog’s biological needs and use them to you advantage. Simply know what your dog needs the most in a given moment and call your dog and provide him access to that intrinsic reinforcer. So is your dog in the yard playing and now he looks as if he’s feeling hot? Maybe he looks forward to being cool and perhaps he’s even a bit thirsty. Why not take advantage of these internal states to call your dog inside your cool home and reward him with fresh water? Your recall will be associated with these wonderful happenings! Was your energetic dog inside all day and you know he’s now dying to spend time playing and romping in the yard to burn up that pent-up energy? Have a helper stay in a room with the door closed while you go out in the yard leaving the backyard door open and call your dog. Let your helper open the door and watch him enthusiastically rush outside! What happens though when an intrinsically-driven behavior is given external reinforcement? 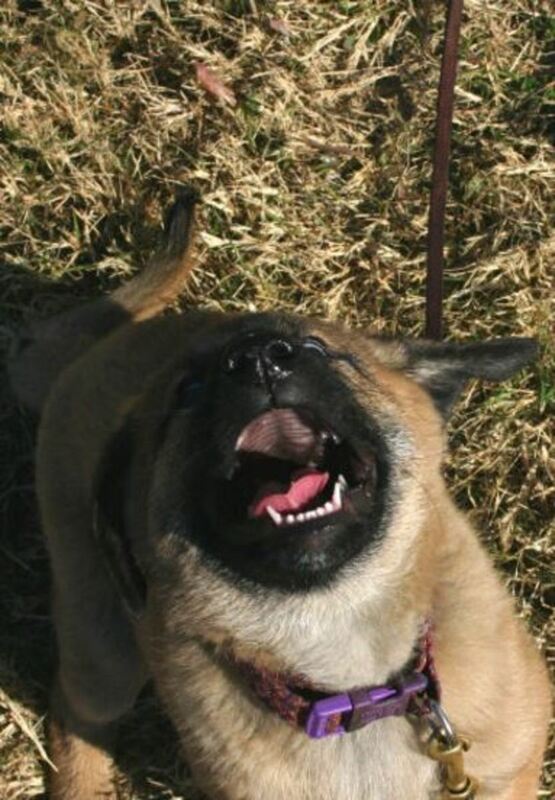 Let’s say a dog likes to bark a lot. It’s as if the dog just likes listening to his voice. A trainer starts giving a treat for every bark, and at some point, the trainer even puts the behavior on cue, by saying “speak” when the dog barks and rewards accordingly. At this point, what do you think will happen? Many people will think: “It would turn the dog into the biggest barking machine on earth since he’s reinforced for barking” while others may think “it will reduce the barking behavior because now you have control over it.” Who’s right? The best way to determine the effectiveness of this method is to simply look at what happens next: does the barking reduce or increase? There’s the best answer, but let’s take a closer look at the dynamics. With the above method of putting barking on cue, there are chances that at some point instead of barking because the dog likes to, he’ll start barking for treats. The barking behavior therefore may start becoming more and more dependent on the extrinsic reinforcer rather than the intrinsic one. For sake of an example, imagine making necklaces and giving them away as gifts. Then, one day out of the blue, you find a company that will actually pay for them. Most likely at this point you will want to work for money and you may never go back to giving necklaces as gifts. Once the behavior is strongly on cue and has attained stimulus control, there may therefore be a reduction in interest in performing an intrinsically reinforcing behavior. While putting an intrinsically reinforcing behavior on cue such as barking may make it less frequent, there are some risks though to keep in mind. Sure, we can easily put non-intrinsically reinforcing behaviors on stimulus control, but with intrinsically reinforcing behaviors things can get more challenging as we’re competing with its self-reinforcing nature. For example, the dog may learn to bark only when the owner asks him to, but left to his own devices, the dog may revert to barking for its intrinsic value when he’s home alone. And then, back to being in the presence of the owner, you may stumble on dogs who love to offer behaviors, so they will bark just in hopes of getting a reward. Oh, and let’s not forget about dogs who are smart enough to figure out that they must bark and wait the owner to give a “quiet” cue in order to get a treat! Owners should never reward their dog’s barking unless asked to, but the problem is that some dogs bark for attention, so with these dogs even the simple fact of looking at them or talking to them is sufficient to keep the barking behavior alive. So it’s also important to ask “why is the dog is barking in the first place?” Barking is often a dog’s way to release frustration, anxiety or stress so these states of mind will also need addressed. A less convoluted, and most importantly, less risky option may be to train the dog to perform an alternate behavior instead. An option may be to thank the dog for alerting if he’s barking at outside stimuli, and then re-directing the dog to another more acceptable activity, such as coming to the owner or lying down on a mat for some treats or a longer lasting reward such as a stuffed Kong. Consider that ignoring the unwanted behavior may work poorly as intrinsically reinforcing behaviors are pretty much immune to extinction. Keep in mind that these behaviors will never totally disappear as most are within the dog’s nature. Avoid using harsh, aversion-based methods as these will only cause frustration, anxiety and stress.